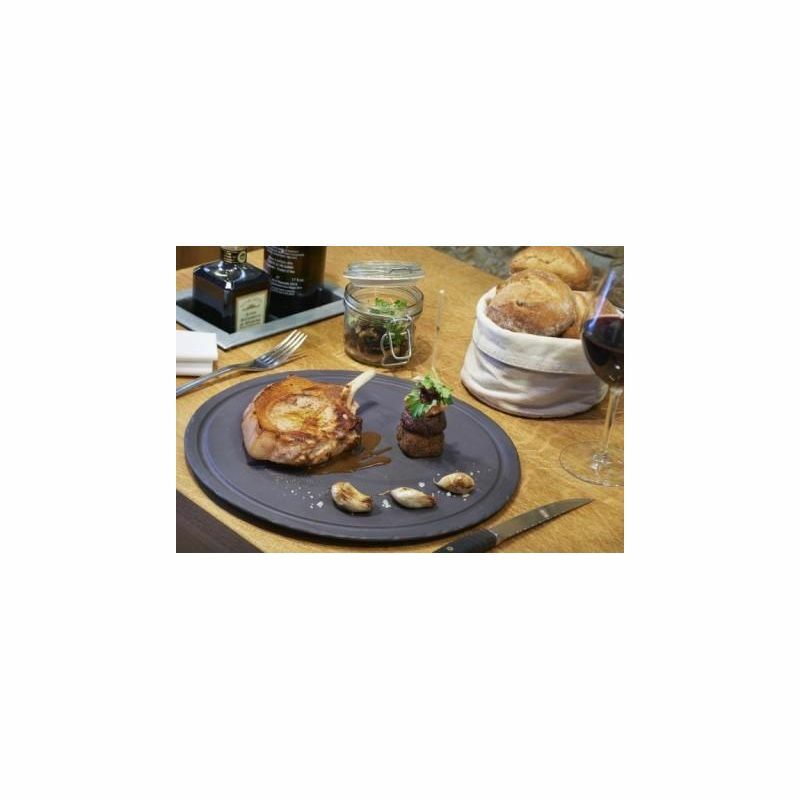 Get inspired by this beautiful round slate stone look plate the way a professional chef would be: serve and present your meats, sandwiches or pasta. 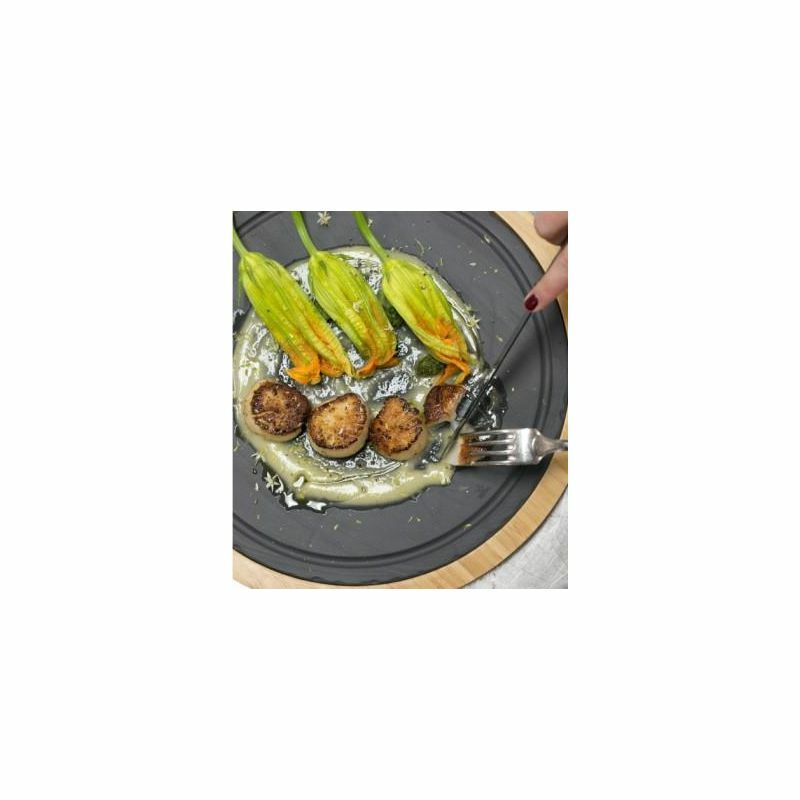 The elegant rim on the side allow the sauces to stay on the plate (and not on the table). Your knives will not scratch the plate and they are dishwasher safe so you can wash them one time after the other with no fear of chipping. 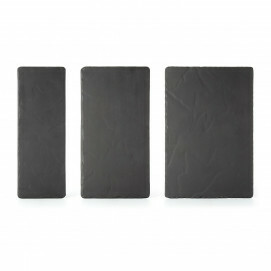 As every other piece of basalt they are also resistant to thermal and mechanical choc. Oven and microwave safe! 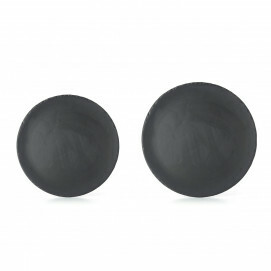 Discover all the Basalt collection to get the entire set ! 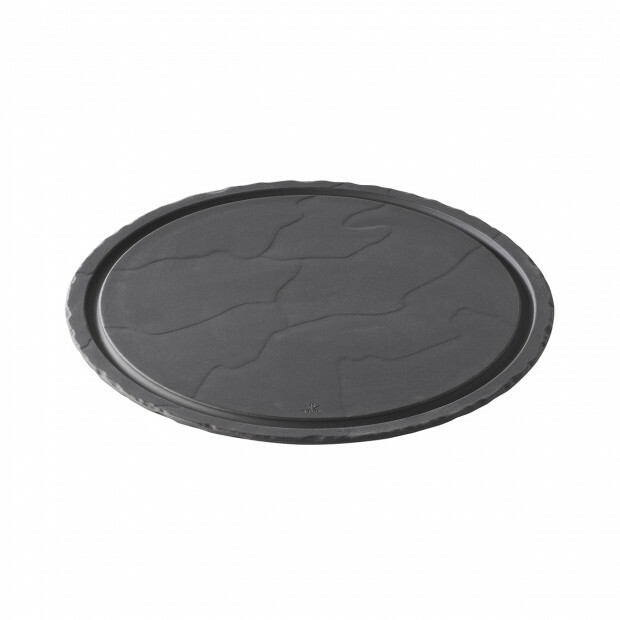 SERVING SUGGESTIONS: Present your chicken, steak, burgers or fish.